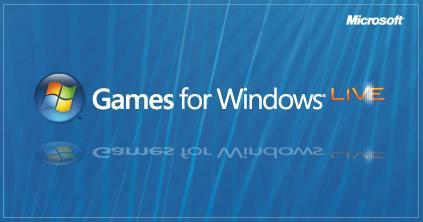 We are so far in to the development of Games for Windows Live it’s too late to make excuses for Microsoft’s platform. I’m as big of a fanboy as one can self-admittedly be, but it’s excruciating to know that Steam has done things right for over half a decade, and Microsoft still can’t seem to figure out what they’re doing wrong. With a Steam game, if you bought it in a store, and registered it on Steam, and it’s available as a digital copy on Steam – you can throw your discs away and never see them again. Haven’t played Half Life 2 since the Lost Coast came out? That’s fine, just click, download, and enjoy! But in an attempt to find something good from the Games for Windows Live client, I decided to test the same idea on their platform. Having noticed that Gears of War was recently released as a $20 downloadable game on demand, I attempted to pop in my yellow-stickered 5×5 CDKey that Microsoft so kindly gave me inside my boxed copy of Gears of War for Windows. Only to have the code rejected and ignored as a useless bygone thing of the past, forcing me to rely on *shudder* my physical media. This isn’t something subtle that Steam snuck in there – the platform touts downloadable games from physical licenses as a big selling point… I have no idea why Microsoft would let something so simple pass us by, and insult the customers that keep supporting them. I love Windows 7. I love Games for Windows Live. I want Gamerscore for all of my PC games! It’s too bad so few good PC games support the platform, and too bad the platform doesn’t support PC gamers! I have got some “BIG” articles coming your way. Not necessarily the most exciting stuff, but lots of little goodies for you to take a gander at! But before all of that comes to pass, take a look at that picture above. I have multiple pictures, all different shapes and sizes (“Tower” type pictures that webmasters can put in their side bars, banners for websites, along with these normal “block” type images). I have several that show “Games for Windows Live” branding, Xbox 360 Live branding, and this little beauty, which is co-branded. 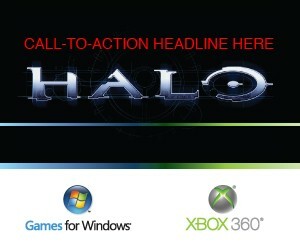 What in the world could be coming to the Halo Universe that includes a “call to action” on both the Windows and Xbox platforms? I haven’t heard anything of Halo Wars or Halo 3 ODST coming to Windows, nor any promotional heads up about Halo 3 being available on Windows. This logo, simply showing “Halo” could boil down to anything. So what do you think is coming our way? Register, then leave comments, or discuss it in the forum! UPDATED AGAIN (1.5): My damn webhost is having problems with PSD files. I think I need to modify my .htaccess file. Another time. For now, here is a ZIP file containing all 25 of the PSD files (I named it myself, do not bother scouring the internet for the zip file). I will leave the links below, for now, and hopefully be able to get them fixed in the near future. see also: How to Open .PSD Extension Files Without Installing Adobe Photoshop. Posted in GamingTagged exclusive, Halo 3, Halo Wars, ODST, PC Gaming2 Comments on WBX: Halo’s "CALL TO ACTION" on Windows and Xbox? People have been asking for a stand alone Xbox Live client for as long as Xbox Live has been around. Games for Windows Live took the lead on that project, and as we saw many Xbox Live like features showing up in PC games. Still, no stand alone client. Still, Games for Windows has not really felt the success Microsoft has wanted for the platform, but shortly after the release of the New Xbox Experience came the relaunch of Games for Windows Live. When I heard this was coming, I was very excited… then I had a difficult time finding it. Now I realize why. This client is little more than an advertising plugin for windows. You do not have any sort of friends list management. There is no method of messaging your friends. The only real power this program has is to download video game trailers and demos. It’s a nice thought, but it’s a long way from what the masses have wanted. If you do want to check it out, it is a free to download the application for Windows Vista. User running Windows XP will need an additional hotfix. To get it working, simply install the 30MB Games For Windows Live 2.0 application, then install the 800K hotfix. If you simply want a quick visual tour of the simple program, check out our gallery of Games for Windows Live. id Software’s long running project, QuakeLive (once, Quake Zero) has officially entered beta stage. There have already been tournaments held using the software and they believe it has already passed the first few tests. But now it’s officially time to enter beta stage, and you can still try to enter by visiting the official website. Those selected to participate will receive a link and a key to play the game. Quake Live was originally billed as a browser based “Quake III” style game. I have been invited to the beta but haven’t checked it out yet. I will try to post some kind of follow up later this week.